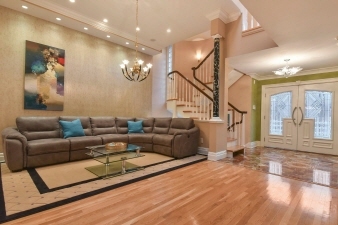 Exquisite and Totally Renovated 4 Bedroom, 3 1/2 Bathroom Townhouse within minutes of NYC! Each detail was custom designed and hand picked in this one of a kind Kenwood Estates home. This stunning space has a Gourmet top of the line kitchen (barely used), Italian tile and fixtures, Wolf and Subzero appliances, beautiful wall coverings, custom crown moldings, 3 terraces off the Kitchen, Master Bedroom and Walk Out Basement, hardwood floors and so much more! You must see this special unit in person to appreciate the quality and detail throughout. Convenient location with easy access to shopping, parks and New York City.